I was talking to one of my coworkers yesterday, about how much better our kids seem to be when they get some one-on-one time with mom or dad. It's like a recharge for everyone involved. The kids don't have to feed that primal need to horde whatever resource is limited (you!) and when I'm not playing referee constantly, I'm free to remember my kids are really cool mini-me's and that I enjoy hanging with them. I mean, I always love 'em and we have fun but... wow the days are long sometimes. Taking them out for a special "mom" or "dad" day and just giving them some undivided attention for a few hours makes a world of difference. Absence (from the other kids) makes the heart grow fonder. Haha. But seriously. With 5 kids, it takes a little extra effort in our home to set aside that dedicated time - and I'm not always as good about it as I could be. My daughters both like gardening, but one's more indoorsy and the other... well, she digs for worms and picks up bugs. 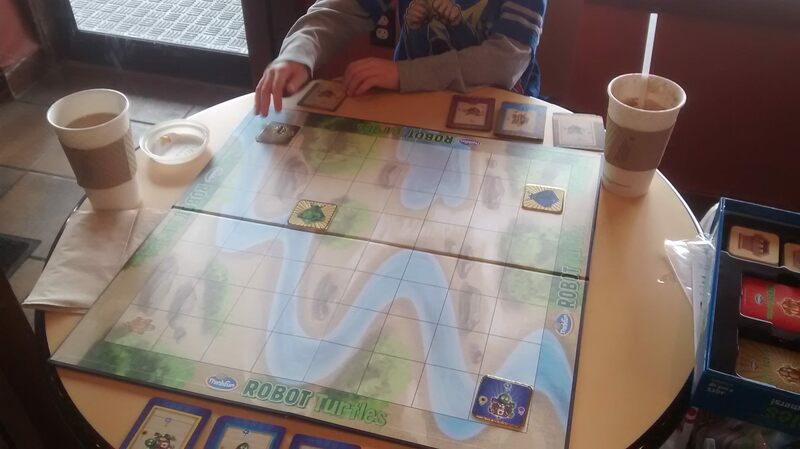 My son would do nearly anything to get a board game (or ten) in with someone. When we've done things with them in the past, we've tried to play to their interests. The header image for this post was when I took Luke out to Panera's. We packed a few games, got some hot chocolate and snacks, and made an afternoon of it. Simple, but easy to miss out on! I like to bookmark sites where someone's already done the work for me, and there are a ton. 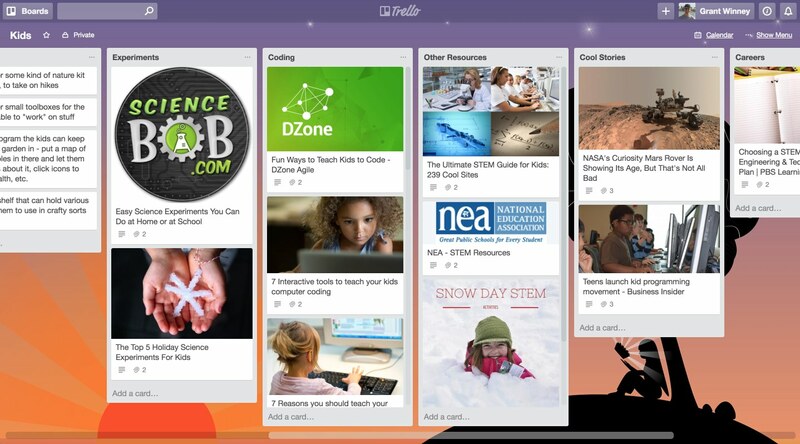 Here's a few I want to go through, full of experiments and other activities to do with the kids. 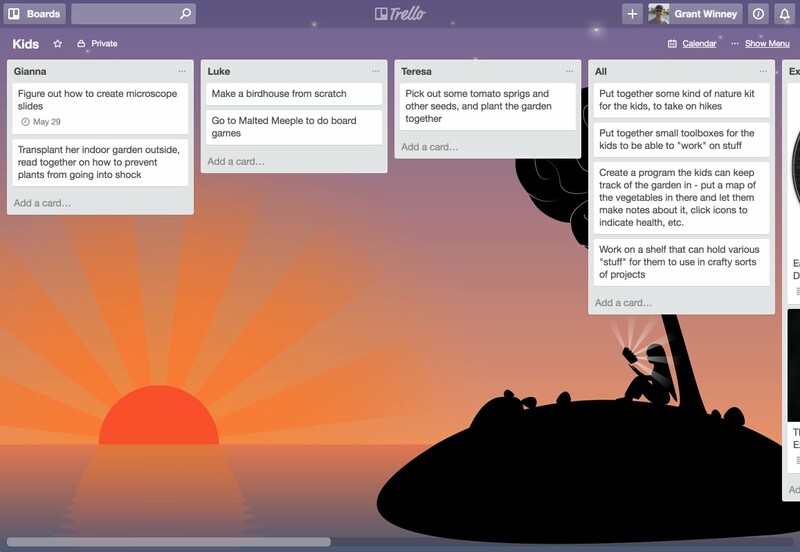 I like Trello. It's free, easy to use and even the phone app (at least the Android one) is awesome. I setup a separate "kids" board to add activities as I think of them. Sometimes an idea comes to mind and I want to capture it before I forget. If one of them would really enjoy it, I put it under their name. If it's something that all of the older kids would enjoy, it goes in another column. I can even set dates if I want to do something this weekend, or if it's time-sensitive like one of those workshops Lowe's or Home Depot does on Saturday mornings. I threw some more columns at the end of the board to track those useful sites I shared above (as well as others). When I'm looking for more ideas, I can pick a resource from one of those columns and add ideas to the other columns. 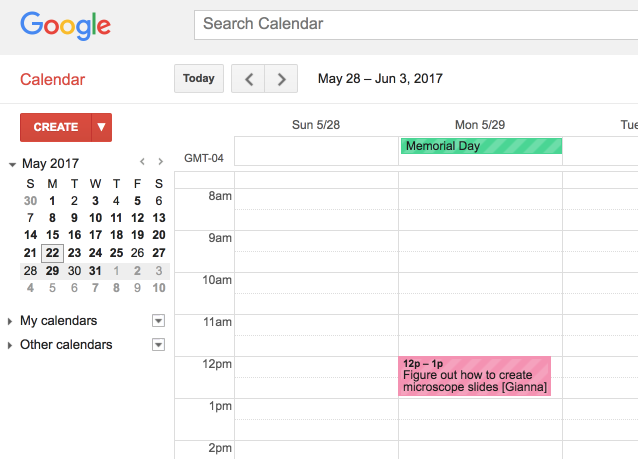 And bonus, you can use the calendar powerup (also free) to track those due dates on your Google Calendar. This was my first post in a personal #30DaysOfBlogging challenge, during which I'm going to try writing about more day-to-day life type stuff rather than just instructional materials. Although it ended up instructional anyway. Oh well, hope you found it useful (or know someone who would)!